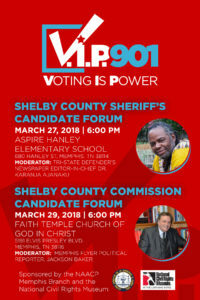 Monday, April 2, 2018 from 7:00pm – 9:00pm. *If a picture does not take you to the link, there is no additional information online. 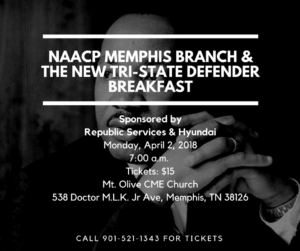 If you have questions about an event, please contact the NAACP Memphis Branch office at 901-521-1343.